John Bertram Phillips, The New Testament in Modern English. London: G. Bles, 1958. This paraphrase of the New Testament first appeared in parts from 1947 to 1957. Phillips began with the epistles, published as Letters to Young Churches in 1947; the Gospels were published in The Gospels in Modern English in 1952; the Acts (published as The Young Church in Action) in 1955; and The Book of Revelation in 1957. A one-volume edition of the complete New Testament was published in 1958, and a revised edition came out in 1961. In 1963 Phillips also published a paraphrastic translation of Isaiah 1-39, Hosea, Amos, and Micah (Four Prophets: Amos, Hosea, First Isaiah, Micah: A Modern Translation from the Hebrew), but he did not continue with the Old Testament. Another revised edition of the New Testament appeared in 1972. The translator, John B. Phillips (1906-1982), was an English clergyman who had studied classical Greek at Cambridge University. During the Second World War he was a minister at the Church of the Good Shepherd in London, where he supervised a young people's club. It was his work with the young people that first prompted him to translate the New Testament into the style of modern speech. He states in the Preface to the Schools Edition of his version (1959) that he "wrote for the young people who belonged to my youth club, most of them not much above school-leaving age, and I undertook the work simply because I found that the Authorised Version was not intelligible to them." He does not explain why he felt that the 'modern speech' version of Moffatt (which at that time enjoyed some popularity) was inadequate for this purpose, but presumably he felt that Moffatt's version was also too difficult for his young people to understand. Regarding the Greek text, in his Translator's Preface to Letters to Young Churches (1947) Phillips states, "in making this version I have worked from the Greek Text used in the 1881 revision," by which he means the Greek readings adopted by the translators of the English Revised Version. In the Translator's Foreword of the 1958 edition he calls this the "best available Greek Text." This is questionable, because the text of Wescott and Hort was at that time generally considered to be the best available. 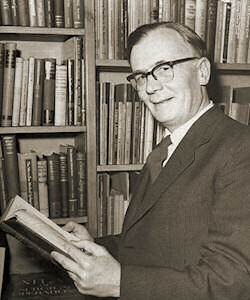 But in the Introduction to the edition published in 1972 Phillips states that for the revision he worked "from the latest and best Greek text published by the United Bible Societies in 1966" and he rightly states that this edition was "recognised by scholars of all denominations as the best source available." (p. vii.) In any case, it makes little difference what text is used in such a paraphrastic version. Below we give Ephesians 1:1–2:10 from Phillips' version (Letters to Young Churches, 1947), and next to it the version of Moffatt (as revised in 1935) for comparison. Paul, by the will of God an apostle of Jesus Christ, to the saints who are faithful in Jesus Christ: grace and peace to you from God our Father and the Lord Jesus Christ. Paul, Special Messenger of Jesus Christ by God's choice, to all faithful Christians at Ephesus (and other places where this letter is read): grace and peace be to you from God the Father and our Lord, Jesus Christ. Blessed be the God and Father of our Lord Jesus Christ who in Christ has blessed us with every spiritual blessing within the heavenly sphere! He chose us in him ere the world was founded, to be consecrated and unblemished in his sight, destining us in love to be his sons through Jesus Christ. Such was the purpose of his will, redounding to the praise of his glorious grace bestowed on us in the Beloved, in whom we enjoy our redemption, the forgiveness of our trespasses, by the blood he shed. So richly has God lavished upon us his grace, granting us complete insight and understanding of the open secret of his will, showing us how it was the purpose of his design so to order it in the fulness of the ages that all things in heaven and earth alike should be gathered up in Christ—in the Christ in whom we have had our heritage allotted us (as was decreed in the design of him who carries out everything according to the counsel of his will), to make us redound to the praise of his glory by being the first to put our hope in Christ. You have also heard in him the message of the truth, the gospel of your salvation, and in him you also by your faith have been stamped with the seal of the long-promised holy Spirit, which is the pledge and instalment of our common heritage, that we may obtain our divine possession and so redound to the praise of his glory. Praise God for what he has done for us Christians! Praise be to God for giving us every possible spiritual benefit in Christ! For consider what he has done—before the foundation of the world he chose us to become, in Christ, His holy and blameless children living within His constant care. He planned, in His purpose of love, that we should be adopted as His own children through Jesus Christ—that we might learn to praise that glorious generosity of His which has made us welcome to the everlasting love He bears towards the Son. It is through the Son, at the cost of His own blood, that we are redeemed, freely forgiven through that full and generous grace which has overflowed into our lives and opened our eyes to the truth. For God has allowed us to know the secret of His Plan, and it is this: he purposes in His sovereign will that all human history shall be consummated in Christ, that everything that exists in Heaven or earth shall find its perfection and fulfilment in Him. And here is the staggering thing—that in all which will one day belong to Him we have been promised a share (since we were long ago destined for this by the One Who achieves His purposes by His sovereign Will), so that we, as the first to put our confidence in Christ, may bring praise to his glory! And you too trusted him, when you had heard the message of truth, the Gospel of your salvation. And after you gave your confidence to Him you were, so to speak, stamped with the promised Holy Spirit as a guarantee of purchase, until the day when God completes the redemption of what He has paid for as his own; and that will again be to the praise of His glory. Hence, as I have heard of your faith in the Lord Jesus and your love for all the saints, I never cease to give thanks for you, when I mention you in my prayers. May the God of our Lord Jesus Christ, the glorious Father, grant you the Spirit of wisdom and revelation for the knowledge of himself, illuminating the eyes of your heart so that you can understand the hope to which He calls us, the wealth of his glorious heritage in the saints, and the surpassing greatness of his power over us believers—a power which operates with the strength of the might which he exerted in raising Christ from the dead and seating him at his right hand in the heavenly sphere, above all the angelic Rulers, Authorities, Powers, and Lords, above every Name that is to be named not only in this age but in the age to come—he has put everything under his feet and set him as head over everything for the church, the church which is his Body, filled by him who fills the universe entirely. Since, then, I heard of this faith of yours in the Lord Jesus and the practical way in which you are expressing it towards fellow-Christians, I thank God continually for you and I never give up praying for you; and this is my prayer. That God, the God of our Lord Jesus Christ and the all-glorious Father, will give you spiritual wisdom and the insight to know more of Him: that you may receive that inner illumination of the spirit which will make you realise how great is the hope to which He is calling you—the magnificence and splendour of the inheritance promised to Christians—and how tremendous is the power available to us who believe in God. That power is the same divine energy which was demonstrated in Christ when He raised Him from the dead and gave Him the place of supreme honour in heaven—a place that is infinitely superior to any conceivable command, authority, power or control, and which carries with it a Name far beyond any name that could ever be used in this world or the world to come. God has placed everything under the power of Christ and has set Him up as Head of everything for the Church. for the Church is His Body, and in that Body lives fully the One Who fills the whole wide universe. And as with us so with you. You were dead in the trespasses and sins in which you moved as you followed the course of this world, under the sway of the prince of the air—the spirit which is at present active within those sons of disobedience among whom all of us lived, we as well as you, when we obeyed the passions of our flesh, carrying out the dictates of the flesh and its impulses, when we were objects of God's anger by nature, like the rest of men. But, dead in trespasses as we were, God was so rich in mercy that for his great love to us he made us live together with Christ (it is by grace you have been saved); together with Christ he raised us and seated us within the heavenly sphere in Christ Jesus, to display throughout ages to come his surpassing wealth of grace and goodness toward us in Christ Jesus. For it is by grace you have been saved, as you had faith; it is not your doing but God's gift, not the outcome of what you have done—lest anyone should pride himself on that; God has made us what we are, creating us in Christ Jesus for the good deeds which are prepared beforehand by God as our sphere of action. To you, who were spiritually dead all the time that you drifted along on the stream of this world's ideas of living, and obeyed its unseen ruler (who is still operating in those who do not respond to the truth of God), to you Christ has given life! We all lived like that in the past, and followed the impulses and imaginations of our evil nature, being in fact under the wrath of God by nature, like everyone else. But even though we were dead in our sins God was so rich in mercy that He gave us the very life of Christ (for it is, remember, by grace and not by achievement that you are saved), and has lifted us right out of the old life to take our place with Him in Christ in the heavens. Thus He shows for all time the tremendous generosity of the grace and kindness He has expressed towards us in Christ Jesus. It was nothing you could or did achieve—it was God's gift to you. No one can pride himself that he earned the love of God. The fact is that what we are we owe to the Hand of God upon us. We are born afresh in Christ, and born to do those good deeds which God planned for us to do. In the first verse the major difference is due to a difference in texts. Moffatt translates a text that omits the words "at Ephesus." Otherwise, the differences in the passage are due to the fact that Phillips' method of translation is much less literal and more idiomatic than that of Moffatt. For example, he uses the word "Christians" instead of "saints" throughout the version. In 1:3 he abridges the text, leaving out the phrases "and father of our Lord Jesus Christ" and "in the heavenly places" (Moffatt "within the heavenly sphere"). Probably he omits these phrases because he considers them to be cumbersome. In 2:2 instead of the literal "the prince of the power of the air" (Moffatt "the prince of the air") he calls Satan the "unseen ruler" of the sinful world, and in the same verse the "sons of disobedience" become "those who do not respond to the truth of God." This is easier to understand, but it changes the meaning somewhat. In the rendering of 1:15 there is a good example of the paraphrastic and interpretive character of the version: the clause "and your love for all the saints" becomes "and the practical way in which you are expressing it [i.e. your faith] towards fellow-Christians." Phillips apparently thinks Paul must be referring to works of charity here when he speaks of "love," and he attributes these good works to their faith. In general, Phillips' style is much more casual and conversational, as for example in 1:11 "we have been promised a share" instead of "we have had our heritage allotted us." In some places Phillips inserts phrases designed to grab the attention of the reader for some desired emphasis. He inserts "For consider what he has done" before 1:3 and "And here is the staggering thing" before 1:11. The omissions, expansions, and interpretations here are clearly paraphrastic in nature. 1 Therefore, since we are justified by faith, we (a) have peace with God through our Lord Jesus Christ. 2 Through him we have also obtained access (b) to this grace in which we stand, and we (c) rejoice in hope of the glory of God. 3 More than that, we (c) rejoice in our sufferings, knowing that suffering produces endurance, 4 and endurance produces character, and character produces hope, 5 and hope does not disappoint us, because God's love has been poured into our hearts through the Holy Spirit which has been given to us. 6 For while we were yet helpless, at the right time Christ died for the ungodly. 7 Why, one will hardly die for a righteous man—though perhaps for a good man one will dare even to die. 8 But God shows his love for us in that while we were yet sinners Christ died for us. 9 Since, therefore, we are now justified by his blood, much more shall we be saved by him from the wrath of God. 10 For if while we were enemies we were reconciled to God by the death of his Son, much more, now that we are reconciled, shall we be saved by his life. 11 Not only so, but we also rejoice in God through our Lord Jesus Christ, through whom we have now received our reconciliation. 12 Therefore as sin came into the world through one man and death through sin, and so death spread to all men because all men sinned— 13 sin indeed was in the world before the law was given, but sin is not counted where there is no law. 14 Yet death reigned from Adam to Moses, even over those whose sins were not like the transgression of Adam, who was a type of the one who was to come. 15 But the free gift is not like the trespass. For if many died through one man's trespass, much more have the grace of God and the free gift in the grace of that one man Jesus Christ abounded for many. 16 And the free gift is not like the effect of that one man's sin. For the judgment following one trespass brought condemnation, but the free gift following many trespasses brings justification. 17 If, because of one man's trespass, death reigned through that one man, much more will those who receive the abundance of grace and the free gift of righteousness reign in life through the one man Jesus Christ. 18 Then as one man's trespass led to condemnation for all men, so one man's act of righteousness leads to acquittal and life for all men. 19 For as by one man's disobedience many were made sinners, so by one man's obedience many will be made righteous. 20 Law came in, to increase the trespass; but where sin increased, grace abounded all the more, 21 so that, as sin reigned in death, grace also might reign through righteousness to eternal life through Jesus Christ our Lord. This doesn't mean, of course, that we have only a hope of future joys—we can be full of joy here and now even in our trials and troubles. Taken in the right spirit these very things will give us patient endurance; this in turn will develop a mature character, and a character of this sort produces a steady hope, a hope that will never disappoint us. Already we have some experience of the love of God flooding through our hearts by the Holy Spirit given to us. And we can see that it was while we were powerless to help ourselves that Christ died for sinful men. In human experience it is a rare thing for one man to give his life for another, even if the latter be a good man, though there have been a few who have had the courage to do it. Yet the proof of God's amazing love is this: that it was while we were sinners that Christ died for us. Moreover, if He did that for us while we were sinners, now that we are men justified by the shedding of His blood, what reason have we to fear the wrath of God? If, while we were His enemies, Christ reconciled us to God by dying for us, surely now that we are reconciled we may be perfectly certain of our salvation through His living in us. Nor, I am sure, is this a matter of bare salvation—we may hold our heads high in the light of God's love because of the reconciliation which Christ has made. This, then, is what has happened. Sin made its entry into the world through one man, and through sin, death. The entail of sin and death passed on to the whole human race, and no one could break it for no one was himself free from sin. Sin, you see, was in the world long before the Law, though I suppose, technically speaking, it was not "sin" where there was no law to define it. Nevertheless death, the complement of sin, held sway over mankind from Adam to Moses, even over those whose sin was quite unlike Adam's. Adam, the first man, corresponds in some degree to the man who has to come. But the gift of God through Christ is a very different matter from the "account rendered" through the sin of Adam. For while as a result of one man's sin death by natural consequence became the common lot of men, it was by the generosity of God, the free giving of the grace of One Man Jesus Christ, that the love of God overflowed for the benefit of all men. Nor is the effect of God's gift the same as the effect of that one man's sin. For in the one case one man's sin brought its inevitable judgment, and the result was condemnation. But, in the other, countless men's sins are met with the free gift of grace, and the result is justification before God. For if one man's offence meant that men should be slaves to death all their lives, it is a far greater thing that through Another Man, Jesus Christ, men by their acceptance of His more than sufficient grace and righteousness, should live all their lives like kings! We see, then, that as one act of sin exposed the whole race of men to God's judgment and condemnation, so one Act of Perfect Righteousness presents all men freely acquitted in the sight of God. One man's disobedience placed all men under the threat of condemnation, but One Man's obedience has the power to present all men righteous before God. Now we find that the Law keeps slipping into the picture to point the vast extent of sin. Yet, though sin is shown to be wide and deep, thank God His grace is wider and deeper still! The whole outlook changes—sin used to be the master of men and in the end handed them over to death: now grace is the ruling factor, with righteousness as its purpose and its end the bringing of men to the eternal life of God through Jesus Christ our Lord. Here the expansiveness typical of a paraphrase is very evident. The RSV (which is essentially a literal translation) has 482 words in this chapter, and Phillips uses 786 words to cover the same ground. The expansion of verse 3 is especially noticable: Instead of Paul's concise sentence (RSV "More than that, we rejoice in our sufferings, knowing that suffering produces endurance") Phillips has "This doesn't mean, of course, that we have only a hope of future joys—we can be full of joy here and now even in our trials and troubles. Taken in the right spirit these very things will give us patient endurance." Nevertheless, as a paraphrase this is very good, because it makes explict and more easily grasped a number of things that are implicit in Paul's sentence, without adding any thought which is not there. Verse 10 shows how success can be mixed with failure in a paraphrase: "If, while we were His enemies, Christ reconciled us to God by dying for us, surely now that we are reconciled we may be perfectly certain of our salvation through His living in us." This is very good in its explanation of what is meant by the cryptic phrase "saved by his life," but bad in its limitation of Paul's reason for mentioning it. Paul mentions that we are "saved by his life" not only because this makes us "perfectly certain of our salvation," but because the new life of Christ in the saints is a glorious thing to be rejoiced in for its own sake. To make it merely a proof of officially "saved" status is to trivialize it, and that is not Paul's intention here. Regarding the Greek text used, it is interesting to observe how Phillips has conflated the two alternative readings "we have peace" and "let us have peace" in his rendering "us grasp the fact that we have peace." As far as possible the language used must be such as is commonly spoken, written and understood at the present time. When necessary the translator should feel free to expand or explain, while preserving the original meaning as nearly as can be ascertained. The Letters should read like letters, not theological treatises. Where the Greek is informal and colloquial, the English should be the same. The translation (or in some cases, the paraphrase) should "flow" and be easy to read. Artificial "verses" should be discarded, though cross-headings can be introduced to divide the letters into what seem to be their natural sections. Though every care must be taken to make the version accurate, the projected value of this version should lie in its "easy-to-read" quality. For close meticulous study, existing modern versions should be consulted. ... Phillips' method of translating is not characterized by accuracy. Even Bruce withdraws his approval from rendering 'In the beginning was the Word' (John 1:1) by 'At the beginning God expressed himself.' Mr. Phillips' own doctrines and tastes enter the New Testament through his translation. He prefers 'love' to 'grace' (John 1:17). He prefers an understanding of human nature to a superhuman knowledge of what a man was thinking (John 2:25) [Phillips has 'for he knew them all. He did not need anyone to tell him what people were like: he understood human nature.' The RSV reads 'because he knew all men and needed no one to bear witness of man; for he himself knew what was in man.' —ed.] He dislikes rudeness or abruptness to women; so he adds 'please' to the request for a drink (John 4:7) and omits 'Woman' in Jesus's brusque repudiation of his mother's directions in 2:4, smoothing it out to: 'Is that your concern, or mine?' The 'please' is an example of the translator's good manners; it is impossible on the lips of the Jesus of the Fourth Gospel who takes directions from no one and makes no real request of anyone except God. He achieves a low conversational style by the addition of fillers: 'it is true,' 'of course,' 'you know' (1:18, 27, 33; 4:25, 33; 5:10, etc.). The genealogy of Jesus Christ may be traced from Abraham, through forty-two generations, to Joseph the husband of Mary, Jesus' mother—fourteen generations from Abraham to David, fourteen more from David to the Deportation to Babylon, and fourteen more from Babylon to Christ himself. Now this difference of approach has a strong bearing upon the problem of how we set about translating the Hebrew of the Old Testament prophets. For the method which I adopted in translating the comparatively simple Greek of Letters to Young Churches, for example, was applicable enough to those human, non-literary documents. But it is wildly unsuitable for the transferring into English of the dignified utterance or the passionate pleading of these ancient men of God. There is little hint in any of them of a conversational, let alone a colloquial, style. They were speaking in the name of the Lord and, like King James' translators 2,000 years later, both they and their editors thought that only the highest language could do justice to the oracles of the most high. ... We must, I think, attempt a style at once more lofty than our common speech and yet not so far removed from us that our minds cease to receive the message ... We must aim at a style which is both dignified and authoritative. (pp. x, xi). We give now a sample of Phillips' work from his translation of the prophets. See now, here is the Lord, the Lord of hosts removing every staff and stay from Jerusalem and Judah—bread, the staff of life, and water its support; the strong man and the warrior; the judge and the prophet, the seer and the elder; the captain of fifty and the man of reputation; the skilled magician and the expert in charms. And let them be led by the nose. Yes, every man his neighbour. And the inferior towards those of high repute. You shall be king of this pile of rubble! You cannot make me ruler of the people. And make no attempt to hide it. Alas for them, for they brought evil upon themselves. For he shall eat the fruit of his deeds. For what he has done shall be his own undoing! And their ways are ruled by women. They are confusing the path in which you should go! Your houses hoard what you have plundered from the poor! By grinding the faces of the poor? This is what the Lord of hosts says. And uncover what they keep hidden. In that day the Lord will take away the luxury of anklets, headbands and moon-charms, ear-rings, bracelets and scarves, head-dresses, armlets and sashes, scent-bottles, magic charms, signet rings and nose-rings, party-dresses, cloaks, stoles and handbags, revealing clothes, linen garments, splendid turbans and outdoor veils. And the city sit upon the ground, desolate and forlorn. But like most theological writers who have protested against dogmatic views of "verbal inspiration," he goes on to suggest that not everything in the Bible is true. Concerning the Apostle Paul he says, "Sometimes you can see the conflict between the Pharisaic spirit of the former Saul (who could say such grudging things about marriage and insist upon the perennial submission of women) and the Spirit of God, who inspired Paul to write that in Christ there is neither 'Jew no Greek ... male nor female'!" (p. 28) And so Phillips urges us to distinguish not only between mere words and the precious "truths" they are intended to convey, but also between the more truthful parts coming from the "Spirit of God" and the less truthful parts coming from a "Pharisaic spirit." Predictably, the example he gives concerns that old stumbling-block, Paul's teaching about the role of women in the Church and in the family. But whatever opinion one might hold concerning this, it seems that in his translation Phillips does not actually want the reader to see the "Pharisaic spirit of the former Saul" in all its glory. In Colossians 3:18, Ephesians 5:22, and 1 Peter 3:1 women are told, "adapt yourselves to your husbands," rather than "submit yourselves to your husbands." The offensive instruction in 1 Timothy 2:12 is toned down considerably and presented as a private opinion: "Personally, I don't allow women to teach, nor do I ever put them in positions of authority over men—I believe their role is to be receptive." (compare the RSV, "I permit no woman to teach or to have authority over men; she is to keep silent.") The translator's reluctance about these instructions is palpable. It is hard to understand how an educated clergyman could see in Paul's exhortation to stand firm and ανδριζεσθε ("act like men," 1 Corinthians 16:13) a counter-proof to the doctrine of man's innate depravity. Paul is here using a common expression that means "be stout-hearted," and it certainly was not his intention to use the word ανδριζεσθε as a general affirmation of human goodness apart from God. We have only to read what he has to say about the condition of man in Phillips' own translation of Ephesians 2 (under the rubric "We were all dead: God gave us life through Christ") to see how this old "detractor of humanity" delights in emphasizing the natural man's utter hopelessness. But apparently Phillips does not understand that the doctrine of "total depravity," as expressed in the Thirty-Nine Articles of the Anglican church, merely asserts that every part of man was corrupted in the fall, so that he is totally dependent upon God's grace, not that he was corrupted to such an extreme degree that the image of God was entirely lost, or to such a degree that no good thing remains by common grace. He misunderstands this important doctrine, and his exegesis of Paul in 1 Corinthians 16 can only be described as sophomoric. If this is "the effect the inspired words had" upon the translator, he is plainly incompetent to interpret the Bible. It might even be better for young people to read "quit you like men" without understanding it, than to be taught such an eccentric and theologically tendentious idea about the meaning of ανδριζεσθε in this verse, although we freely grant that the use of the archaic phrase "quit you" (meaning "do your duty") is out of place in a modern translation. Phillips' parphrase has many good points. But in general he fails to inspire confidence in his ability to paraphrase the New Testament without any deliberate or accidental modernization of the message itself, along with the words. J.B. Phillips, "The Problems of Making a Contemporary Translation," in John H. Skilton, ed., The New Testament Student and Bible Translation (Phillipsburg, New Jersey: Presbyterian and Reformed Publishing Company, 1978), reprinted from The Churchman, June 1961. Also reprinted in The Bible Translator 16/1 (January 1965), pp. 25-32. J.B. Phillips, Ring of Truth: A Translator's Testimony (New York: MacMillan, 1967. Revised 1978). J.B. Phillips and E.V. Rieu, "Translating the Gospels: A Discussion Between Dr. E.V. Rieu and the Rev. J.B. Phillips," The Bible Translator 6/4 (October 1955), pp. 150-159. Edwin H. Robertson, The New Translations of the Bible (London: S. C. M. Press, 1959), pp. 119-132. J.B. Phillips, The Price of Success (London: Hodder and Stoughton, 1984). An autobiography that appeared two years after his death. Vera Phillips with Edwin H. Robertson, J.B. Phillips: The Wounded Healer (Grand Rapids: Eerdmans, 1984). Phillips' wife tells of his personal life, which included chronic problems with anxiety and depression. Sakae Kubo and Walter Specht, "Phillips' Translation," chapter 4 in So Many Versions? Twentieth Century English Versions of the Bible (Grand Rapids: Zondervan, 1975), pp. 61-78. A very detailed and helpful review. There seem to be three necessary tests which any work of transference from one language to another must pass before it can be classed as good translation. The first is simply that it must not sound like a translation at all. If it is skilfully done, and we are not previously informed, we should be quite unaware that it is a translation, even though the work we are reading is far distant from us in both time and place. That is a first, and indeed fundamental test, but it is not by itself sufficient. For the translator himself may be a skilful writer, and although he may have conveyed the essential meaning, characterisation and plot of the original author, he may have so strong a style of his own that he completely changes that of the original author. The example of this kind of translation which springs most readily to my mind is Fitzgerald's Rubaiyat of Omar Khayyam. I would therefore make this the second test: that a translator does his work with the least possible obtrusion of his own personality. The third and final test which a good translator should be able to pass is that of being able to produce in the hearts and minds of his readers an effect equivalent to that produced by the author upon his original readers. Of course no translator living would claim that his work successfully achieved these three ideals. But he must bear them in mind constantly as principles for his guidance. This seems to me to be the right place to set down a justification for my own methods. As I have frequently said, a translator is not a commentator. He is usually well aware of the different connotations which a certain passage may bear, but unless his work is to be cluttered with footnotes he is bound, after careful consideration, to set down what is the most likely meaning. Occasionally one is driven into what appears to be a paraphrase, simply because a literal translation of the original Greek would prove unintelligible. But where this has proved necessary I have always been careful to avoid giving any slant or flavour which is purely of my own making. That is why I have been rather reluctant to accept the suggestion that my translation is "interpretation"! If the word interpretation is used in a bad sense, that is, if it is meant that a work is tendentious, or that there has been a manipulation of the words of New Testament Scripture to fit some private point of view, then I would still strongly repudiate the charge! But "interpretation" can also mean transmitting meaning from one language to another, and skilled interpreters in world affairs do not intentionally inject any meaning of their own. In this sense I gladly accept the word interpretation to describe my work. For, as I see it, the translator's function is to understand as fully and deeply as possible what the New Testament writers had to say and then, after a process of what might be called reflective digestion, to write it down in the language of the people today. And here I must say that it is essential for the interpreter to know the language of both parties. He may be a first-class scholar in New Testament Greek and know the significance of every traditional crux, and yet be abysmally ignorant of how his contemporaries outside his scholastic world are thinking and feeling. After reading a large number of commentaries I have a feeling that some scholars, at least, have lived so close to the Greek Text that they have forgotten their sense of proportion. I doubt very much whether the New Testament writers were as subtle or as self-conscious as some commentators would make them appear. For the most part I am convinced that they had no idea that they were writing Holy Scripture. They would be, or indeed perhaps are, amazed to learn what meanings are sometimes read back into their simple utterances! Paul, for instance, writing in haste and urgency to some of his wayward and difficult Christians, was not tremendously concerned about dotting the "i's" and crossing the "t's" of his message. I doubt very much whether he was even concerned about being completely consistent with what he had already written. Consequently, it seems to me quite beside the point to study his writings microscopically, as it were, and deduce hidden meanings of which almost certainly he was unaware. His letters are alive, and they are moving—in both senses of that word—and their meaning can no more be appreciated by cold minute examination than can the beauty of a bird's flight be appreciated by dissection after its death. We have to take these living New Testament documents in their context, a context of supreme urgency and often of acute danger. But a word is modified very considerably by the context in which it appears, and where a translator fails to realise this, we are not far away from the result of an electronic word transmuter! The translators of the Authorised Version were certainly not unaware of this modification, even though they had an extreme reverence for the actual words of Holy Writ. Three hundred years ago they did not hesitate to translate the Greek word EKBALLO by such varying expressions as put out, drive out, bring forth, send out, tear out, take out, leave out, cast out, etc., basing their decision on the context. And as a striking example of their translational freedom, in Matthew 27:44 we read that the thieves who were crucified with Jesus "cast the same in his teeth," where the Greek words mean simply, "abused him." I feel strongly that a translator, although he must make himself as familiar as possible with New Testament Greek usage, must steadfastly refuse to be driven by the bogey of consistency. He must be guided both by the context in which a word appears, and by the sensibilities of modern English readers. In the story of the raising of Lazarus, for example, Martha's objection to opening the grave would be natural enough to an Eastern mind. But to put into her lips the words, "by this time he's stinking," would sound to Western cars unpleasantly out of key with the rest of that moving story. Similarly, we know that the early Christians greeted one another with "an holy kiss." Yet to introduce such an expression into a modern English translation immediately reveals the gulf between the early Christians and ourselves, the very thing which I as a translator am trying to bridge. Again, it is perfectly true, if we are to translate literally, that Jesus said, "Blessed are the beggars in spirit." In an Eastern land, where the disparity between rich and poor was very great, beggars were common. But it is to my mind extremely doubtful whether the word "beggar" in our Welfare State, or indeed in most English-speaking countries, conjures up the mental image which Jesus intended to convey to his hearers. It was not the social misfit or the work-shy, spiritually speaking, but the one who was obviously and consciously in need whom Jesus describes as "blessed" or "happy." Perhaps a few words about the kind of technique which I have adopted may be introduced here. I have found imaginative sympathy, not so much with words as with people, to be essential. If it is not presumptuous to say so, I attempted, as far as I could, to think myself into the heart and mind of Paul, for example, or of Mark or of John the Divine. Then I tried to imagine myself as each of the New Testament authors writing his particular message for the people of today. No one could succeed in doing this superlatively well, if only because of the scantiness of our knowledge of the first century A.D. But this has been my ideal, and that is why consistency and meticulous accuracy have sometimes both been sacrificed in the attempt to transmit freshness and life across the centuries. The cross-headings which appear throughout the book are meant to make it both more readable and more intelligible; at the same time they are intended to be quite unobtrusive and can easily be ignored. But, by the use of these headings, solid and rather forbidding slabs of continuous writing (such as appear in the Greek Text) are made more assimilable to the modern reader, whose reading habits have already been "conditioned" by the comparatively recent usage of clear punctuation, intelligent paragraphing and good printer's type. Although I have worked directly in this translation from the best available Greek Text, it would be ungracious to forget the very many people who have made the work possible. I think first of the textual critics, whose patient work gives us a text to work from which is as near as possible to that of the original writers. I am most grateful to them, as all translators must be, and I should also like to express my thanks to the numerous commentators whose works I have consulted again and again. As will be gathered from what I have said above, I have not always agreed with them but they have informed my mind and stimulated my thoughts many times. The painstaking work of commentators, to put it at its lowest, saves the translator from being over-facile or slipshod! Again, although it would be impossible to supply a full list, I am extremely grateful to the many people—including first-rate scholars, hard-working parish priests, busy ministers, doctors, scientists, missionaries, educationists, elderly saints and lively young people—who have, over the years, written me hundreds of letters, the great majority of which were constructive and useful. Their help has been invaluable. It has been my practice not to consult other modem translations until my own version has been finished. I do not therefore owe anything directly to any contemporary translator, much as I admire the work of Dr. J. W. C. Wand and Dr. E. V. Rieu of this country, and Dr. Edgar J. Goodspeed of the United States of America. But none of us who translates today can be unaware of the trail that was blazed for us near the beginning of this century by such pioneers as Dr. R. F. Weymouth and Dr. James Moffatt. We cannot but admit that we are in a much more favourable position because such men had the courage to break a centuries-old tradition, and translate into contemporary English. I am particularly grateful to Dr. C. S. Lewis, to whom I sent a copy of my version of Paul's letter to Colossae when I first began the work of translating. He wrote back giving me great encouragement. And later, after many disappointments, when I eventually found a publisher in Mr. Geoffrey Bles, Dr. Lewis not only supplied the admirable title Letters to Young Churches but wrote an Introduction which played no small part in launching that book. I find myself therefore indebted to all kinds of people of different nationalities and different denominations. Not the least of my gratitude is evoked by the assurance that has grown within me that here in the New Testament, at the very heart and core of our Faith, Christians are far more at one than their outward divisions would imply. From this unquestionable evidence of fundamental unity I derive not only great comfort but a great hope for the future. When I began the work of translating Paul's epistles in 1941 I certainly had no idea either that my efforts would be published or that I should eventually translate the whole New Testament. I wrote for the young people who belonged to my youth club, most of them not much above school-leaving age, and I undertook the work simply because I found that the Authorised Version was not intelligible to them. My primary aim was not in any sense to compete with the version of 1611, but to communicate to young people inspired truths of which they were almost entirely ignorant. It is, then, with the greatest possible pleasure that I welcome this schools edition of my whole translational work. It is as though the wheel had come full circle after eighteen years and once more I find myself using modern language to communicate ancient truths to young people. Before ordination I had myself a short experience as a schoolmaster, and in each of the four Parishes in which I have served there have been Church schools and sometimes State schools as well. My contact with these schools has greatly increased my respect for the teaching profession, not least for those who undertake the extremely difficult task of conveying the meaning of essential Christianity to the young mind. In my view we are starting off on the wrong foot if, in teaching Scripture, we insist on using language which is nearly three hundred and fifty years old. I would myself be among the first to admire and marvel at the beauty, the majesty and the moving rhythms of that version to which we of older generations are accustomed. But if the true meaning and relevance of the New Testament message is blunted and masked by archaic language, then I think we must, at least in our first approach, use language which is intelligible to modern children. There is a peculiar danger here: if school prayers and scripture readings are invariably couched in outdated language, then it is very unlikely that the children will think of God as in any sense contemporary, and it is probable that they will tend to regard the New Testament story as a holy legend far away and long ago. If we are to help in the development of Christian citizens for the future it is imperative that we teach the New Testament as containing spiritual essentials for modern living. If this book helps that admirable army of teachers in the vital art of communicating what I believe to be most urgent to communicate, then one of my greatest hopes will be realised. 1. Ernest C. Colwell, review article of The English Bible by F.F. Bruce, in Religion in Life 31/2 (Spring 1962), pp. 294ff. Reprinted in Dennis Nineham, ed., The New English Bible Reviewed (London: Epworth Press, 1965), pp. 35ff. Regarding Bruce's estimate of the version it should be pointed out that elsewhere he calls it "a vigorous and effective paraphrase." See the supplementary chapter by Bruce added to the 2nd edition of Frederic G Kenyon's The Story of the Bible: A Popular Account of How it Came to Us (London: J. Murray, 1964). His reluctance to use the word "paraphrase" in his 1961 book is apparently due to politeness. Phillips had objected to the word. 2. "Translating the Gospels: A Discussion Between Dr. E.V. Rieu and the Rev. J.B. Phillips." The Bible Translator 6/4 (October 1955), pp. 150-159. 3. Four Prophets: Amos, Hosea, First Isaiah, Micah: A Modern Translation from the Hebrew by J.B. Phillips (New York: Macmillan, 1963), pp. ix-x. 4. The thirteenth article reads, "Of Works before Justification: Works done before the grace of Christ, and the Inspiration of the Spirit, are not pleasant to God, forasmuch as they spring not of faith in Jesus Christ; neither do they make men meet to receive grace, or (as the School-authors say) deserve grace of congruity: yea rather, for that they are not done as God hath willed and commanded them to be done, we doubt not but they have the nature of sin."